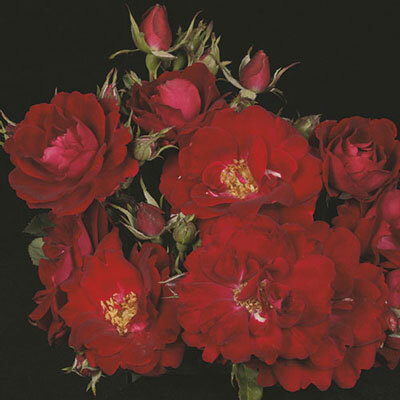 A proven hardy Shrub in many ways and the best seller of the red Canadian roses. But it doesn't look good just in that locale. This mounded little cherry red rose holds its habit and floriferousness in all climates—a most uncommon feat amongst the Northern Shrubs. Loads of blooms make it great for mass plantings. Better red color in cooler temperatures.